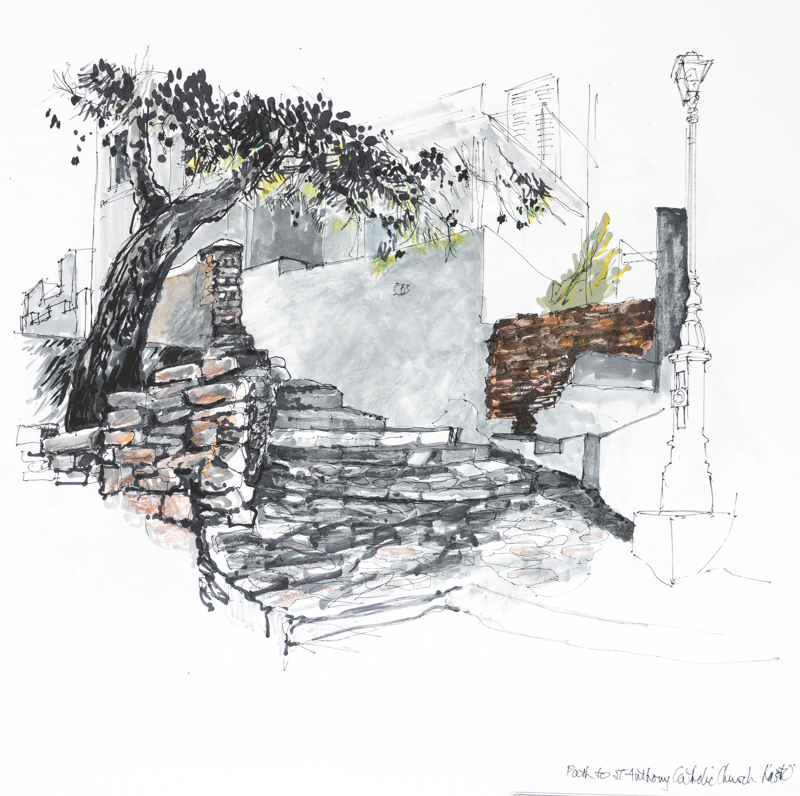 Melbourne based artist Max Grierson has had a number of solo and group exhibitions, working in the art forms of printmaking, painting and drawing. 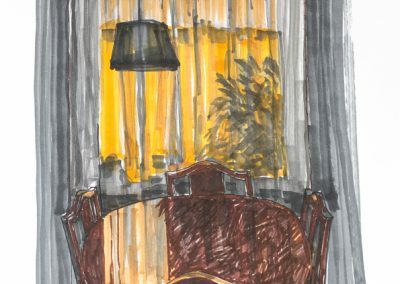 Work by Max was included in the Australian Print Survey which toured Australian state galleries and he has a biographical entry in McCulloch’s The Encyclopaedia of Australian Art (1994). 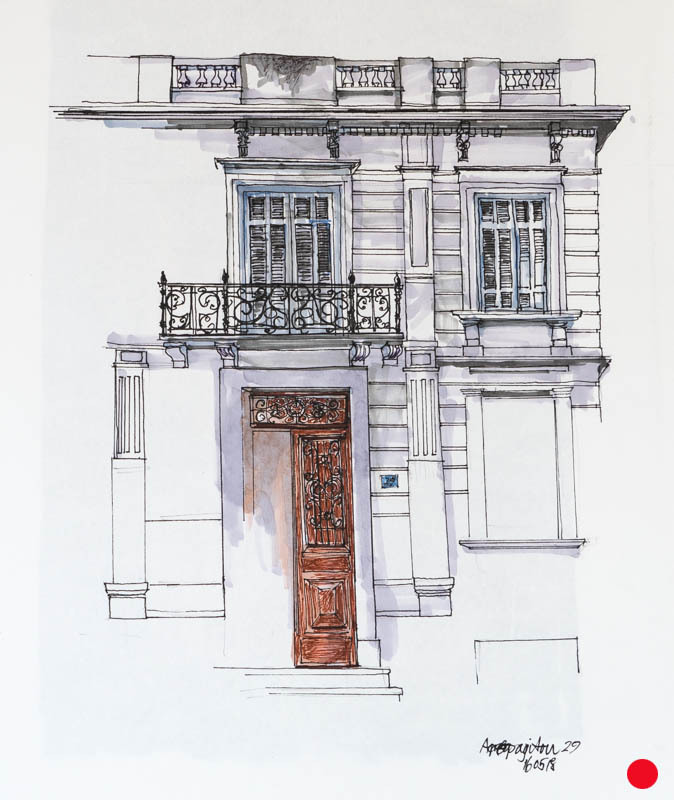 For 15 years he was head of the Art faculty at Caulfield Grammar School. 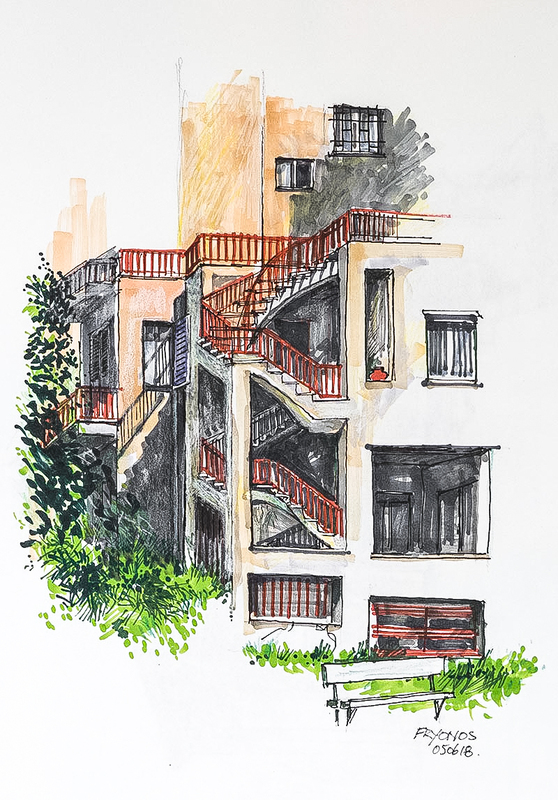 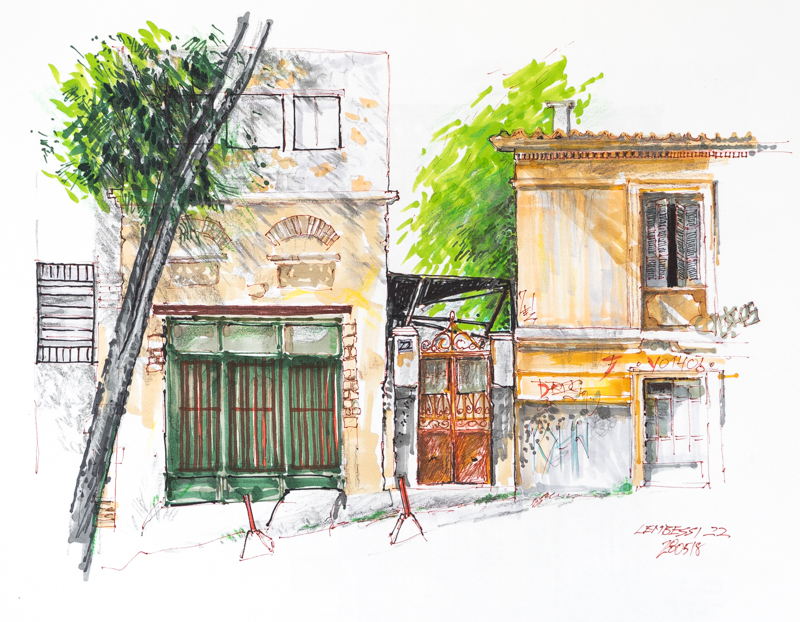 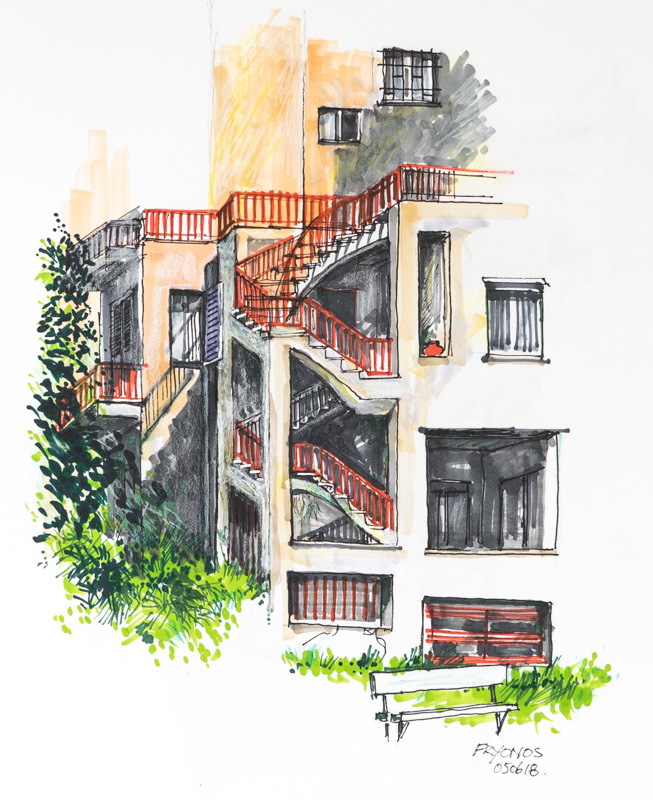 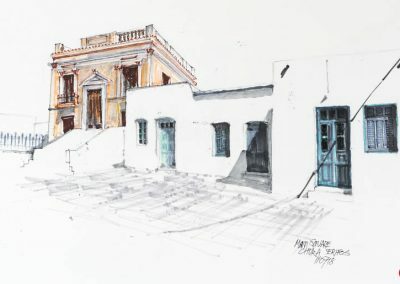 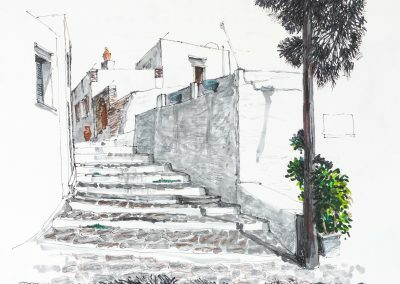 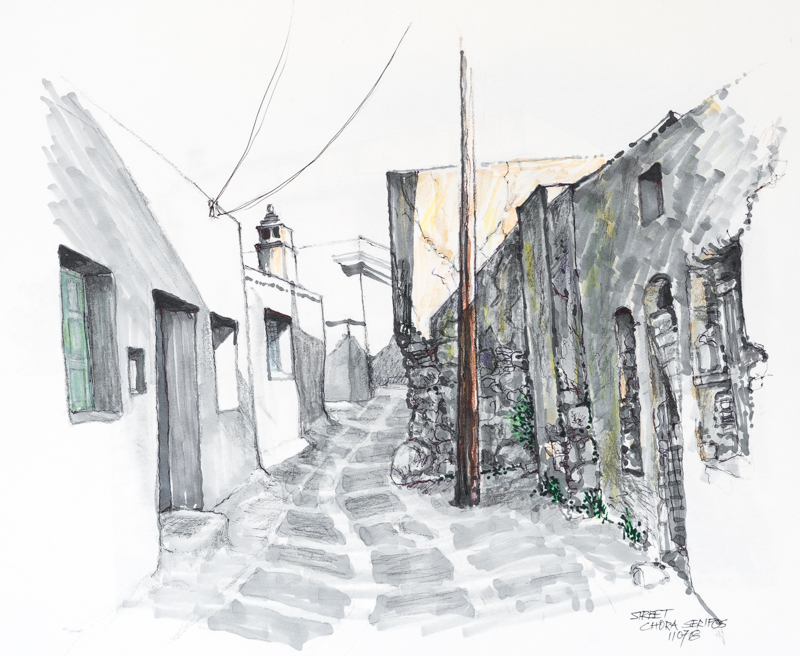 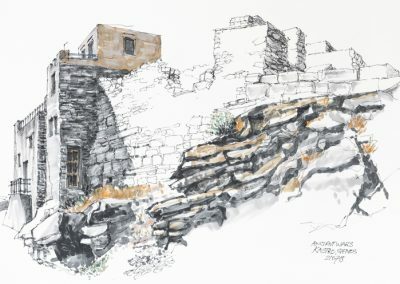 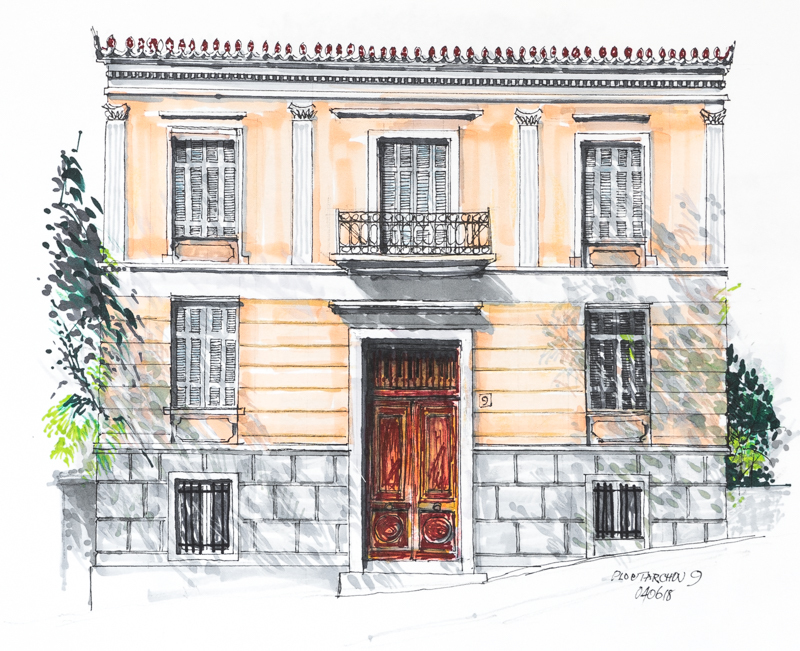 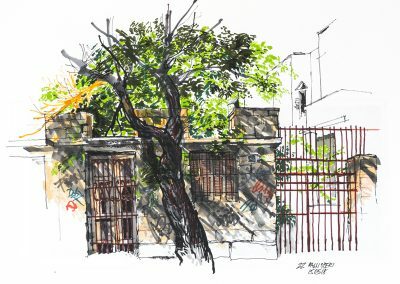 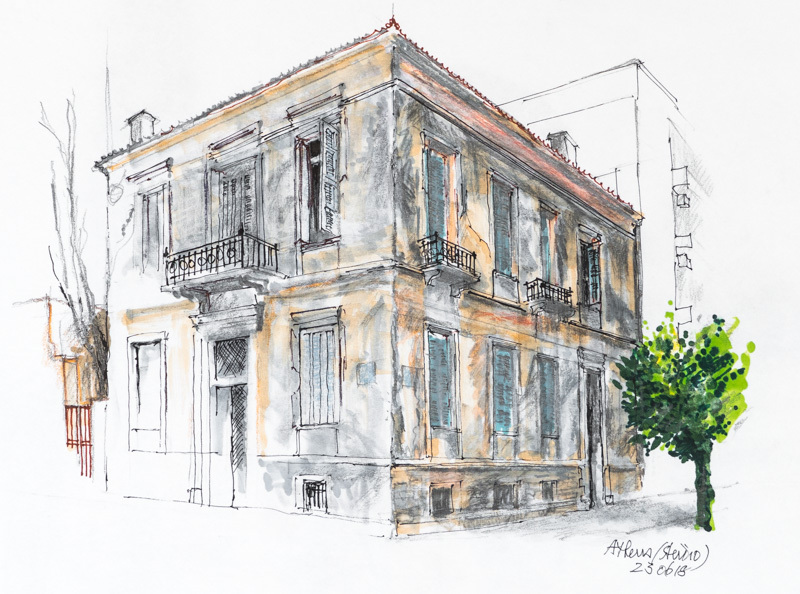 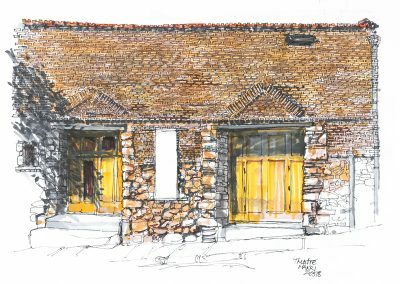 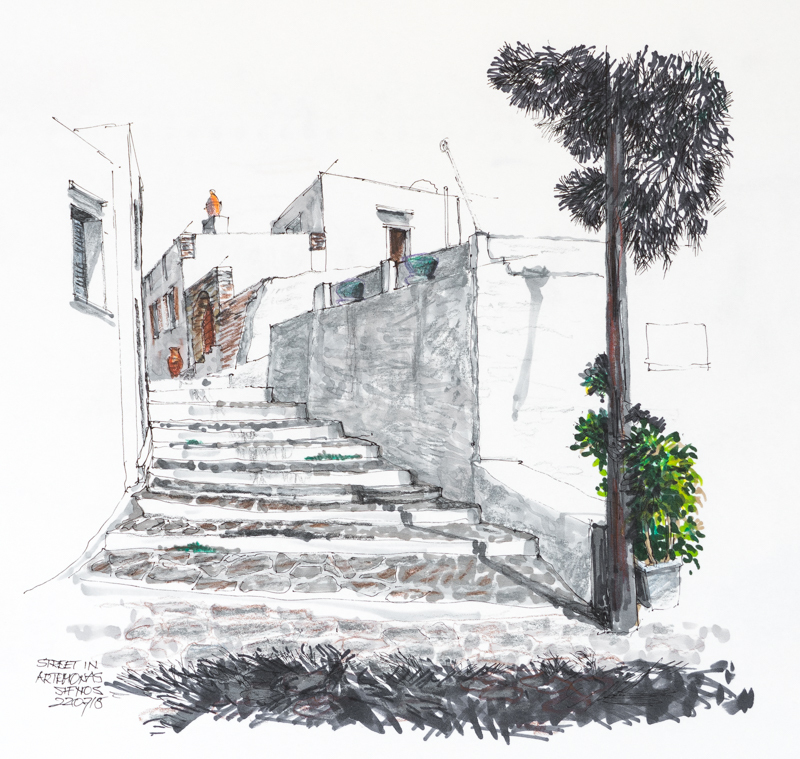 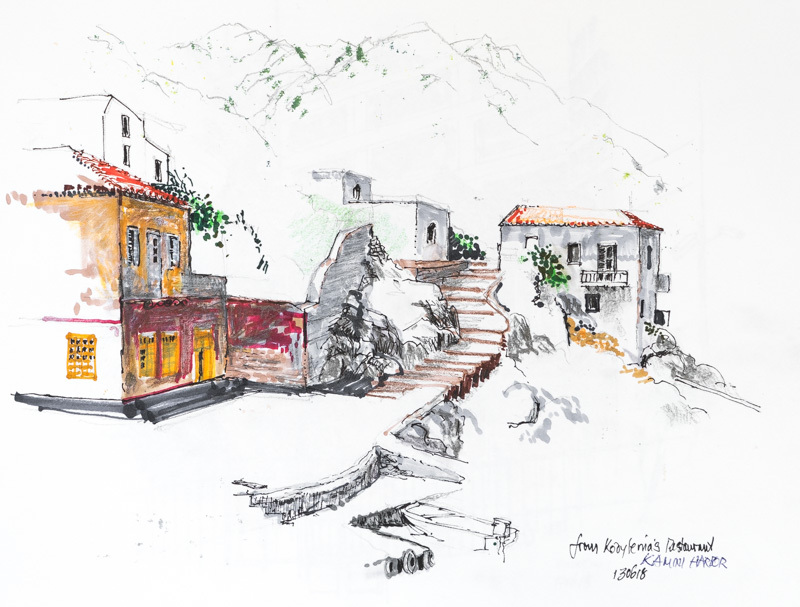 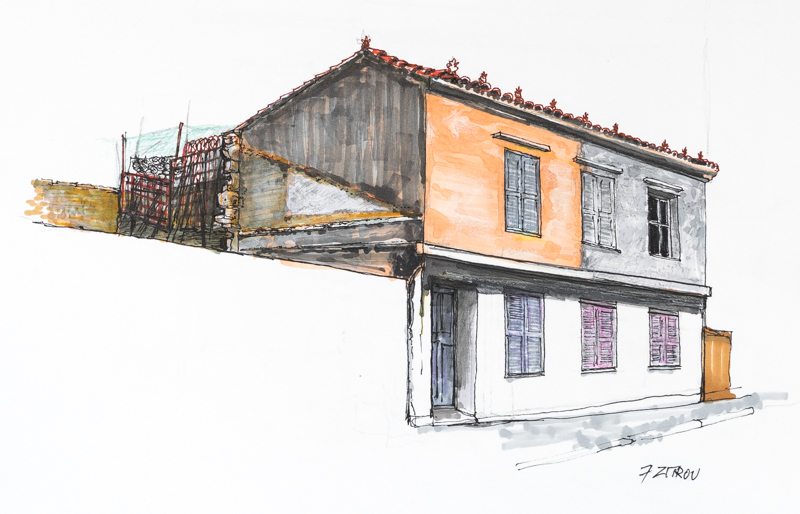 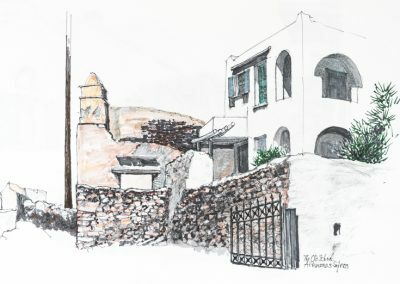 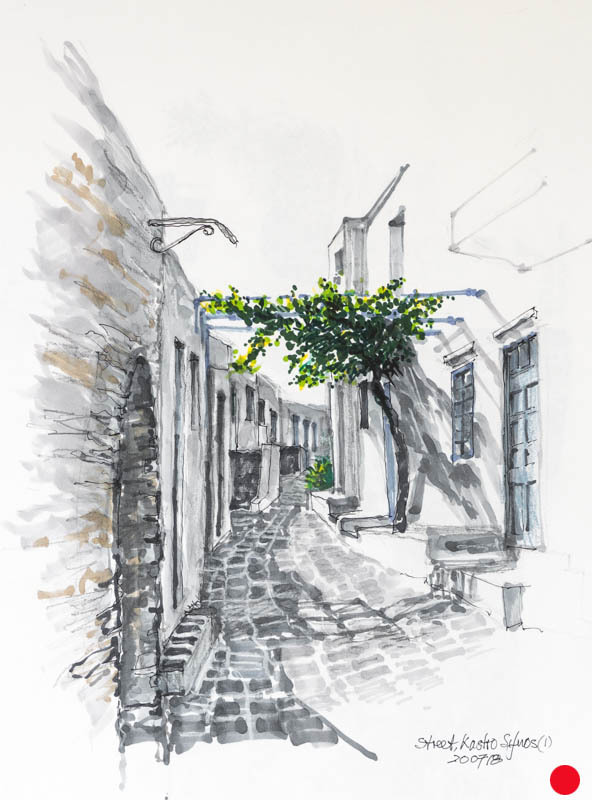 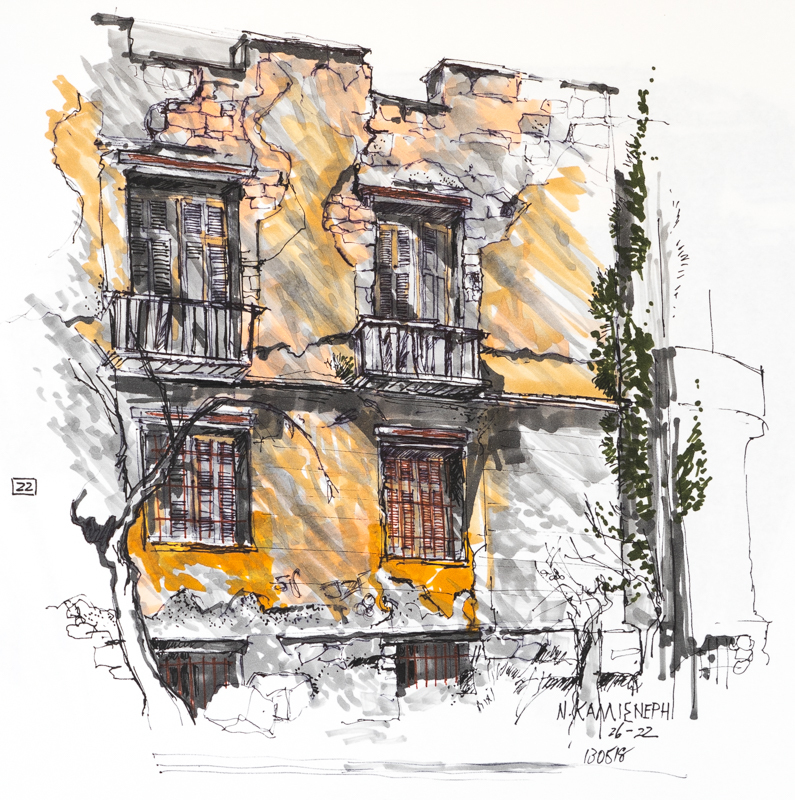 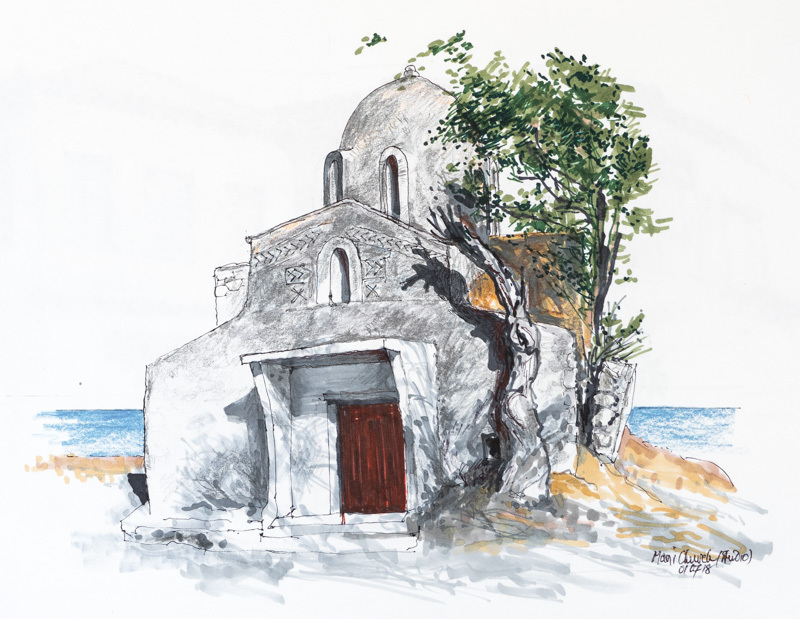 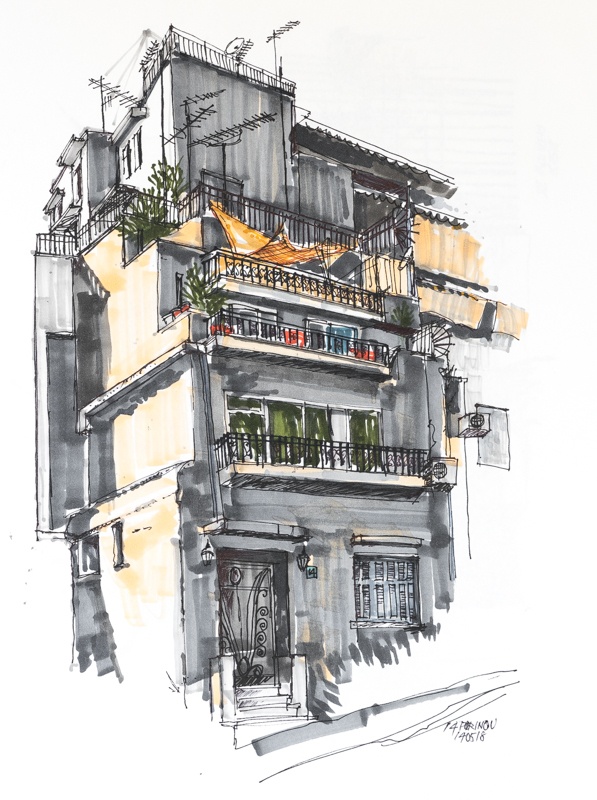 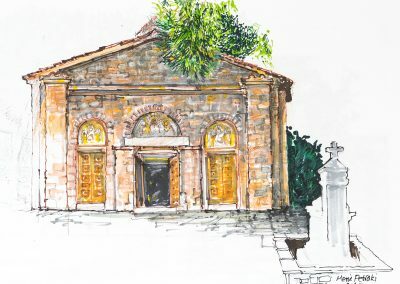 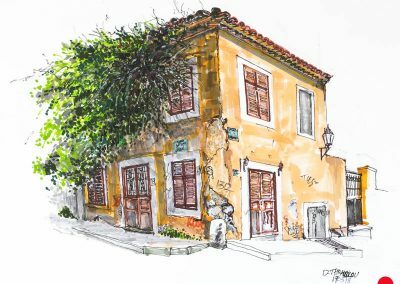 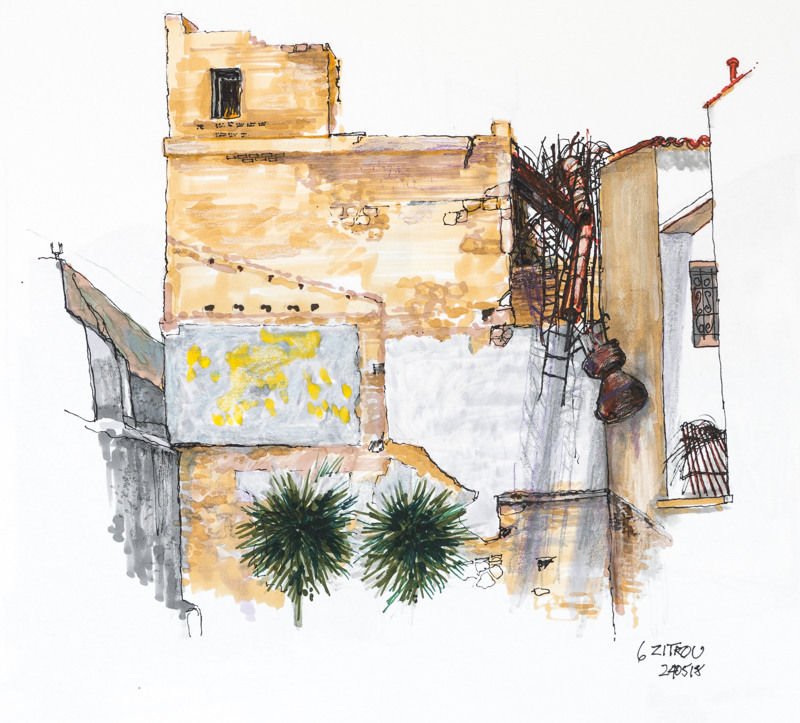 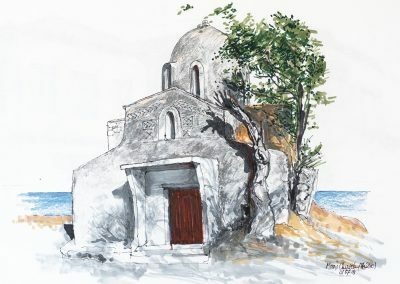 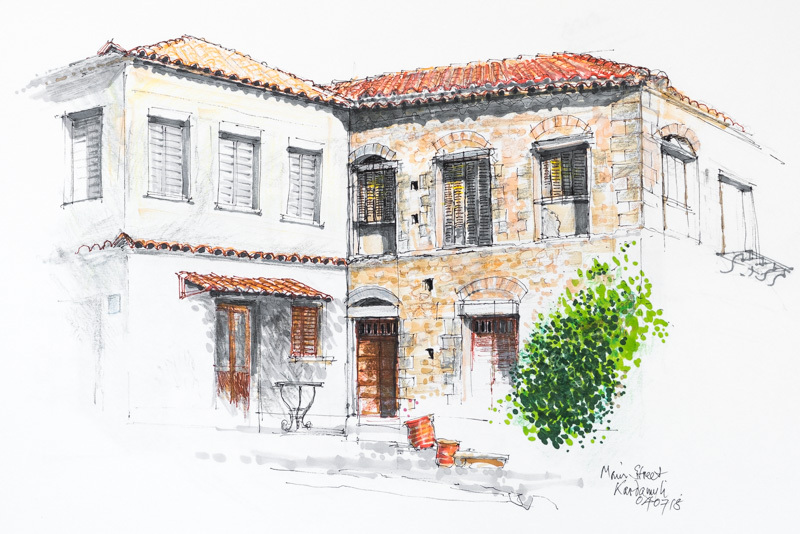 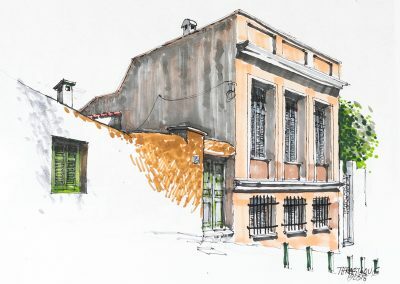 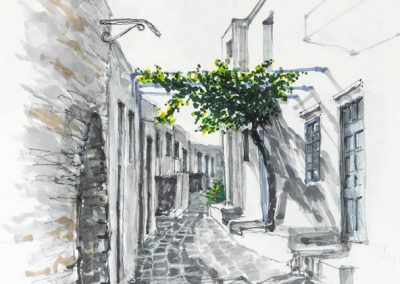 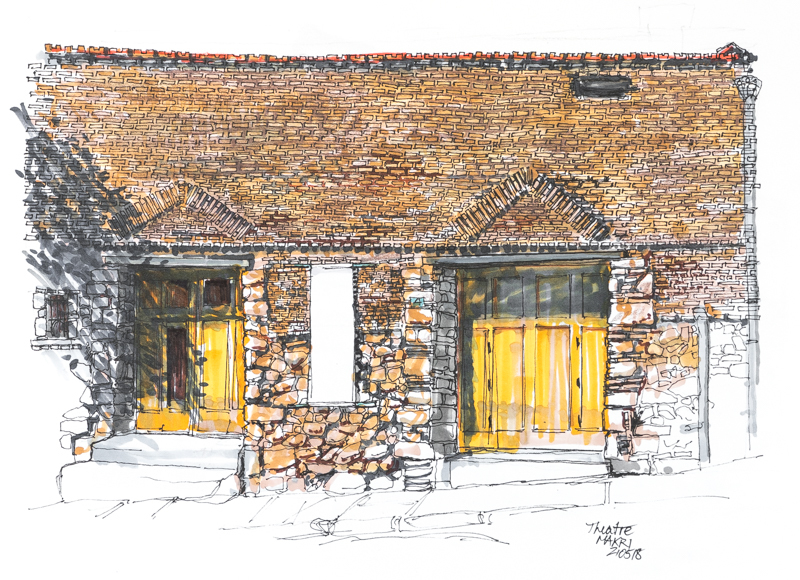 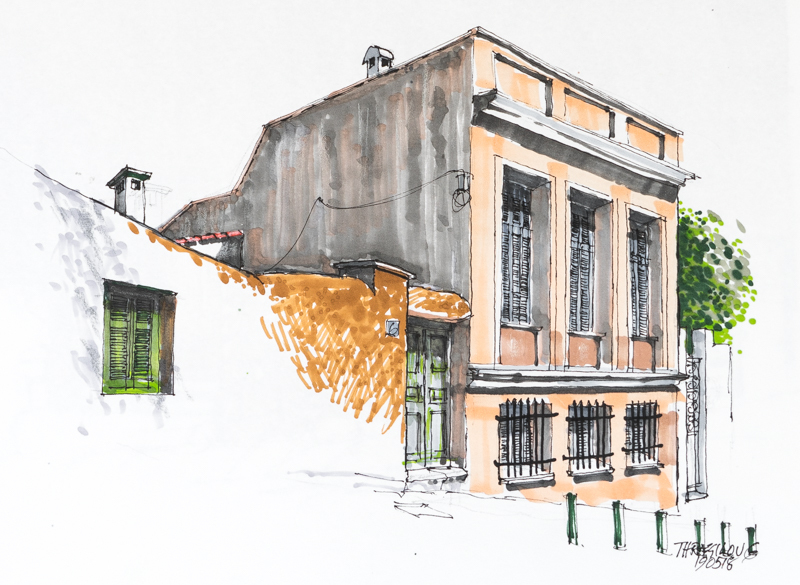 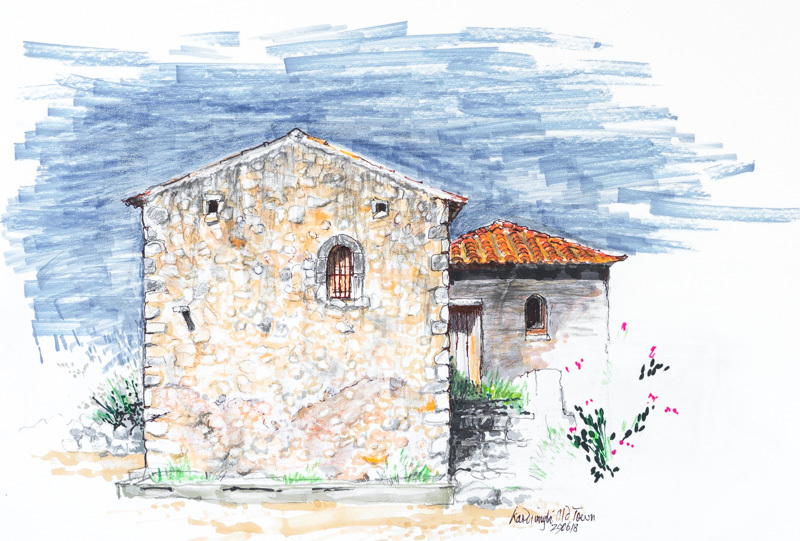 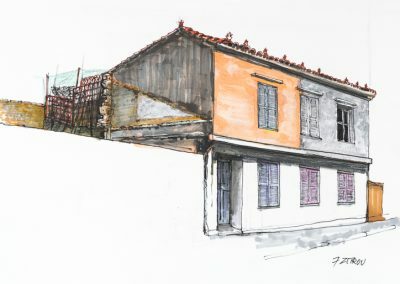 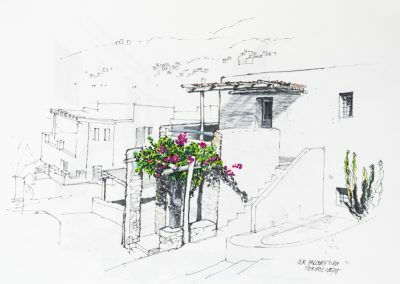 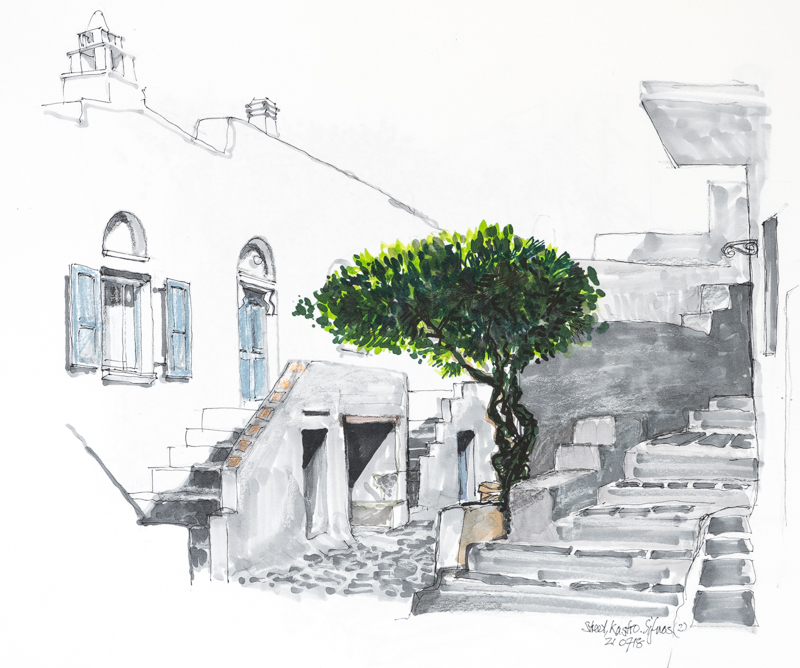 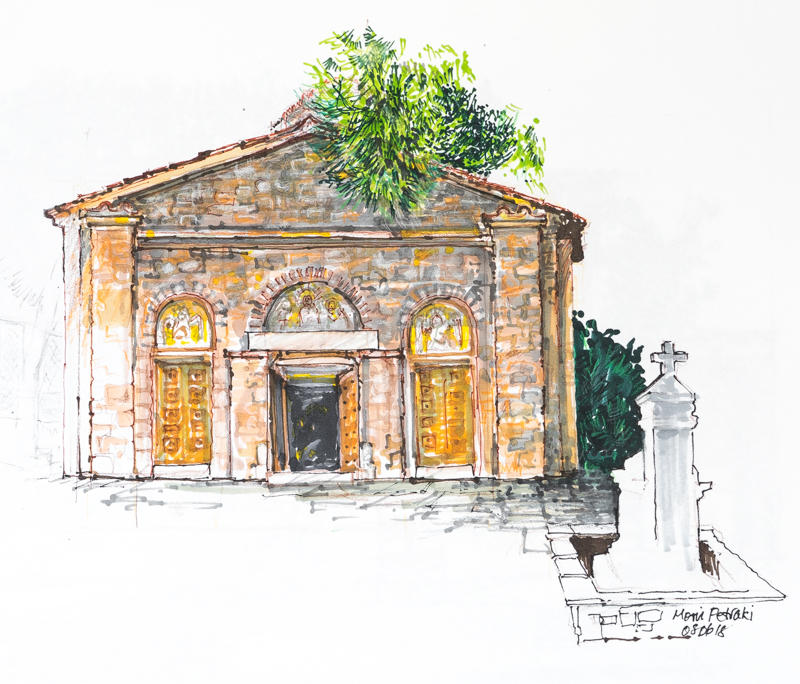 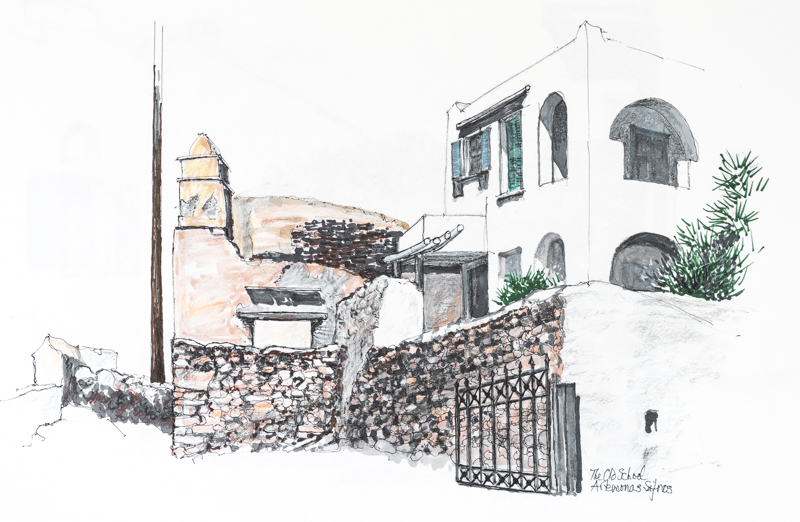 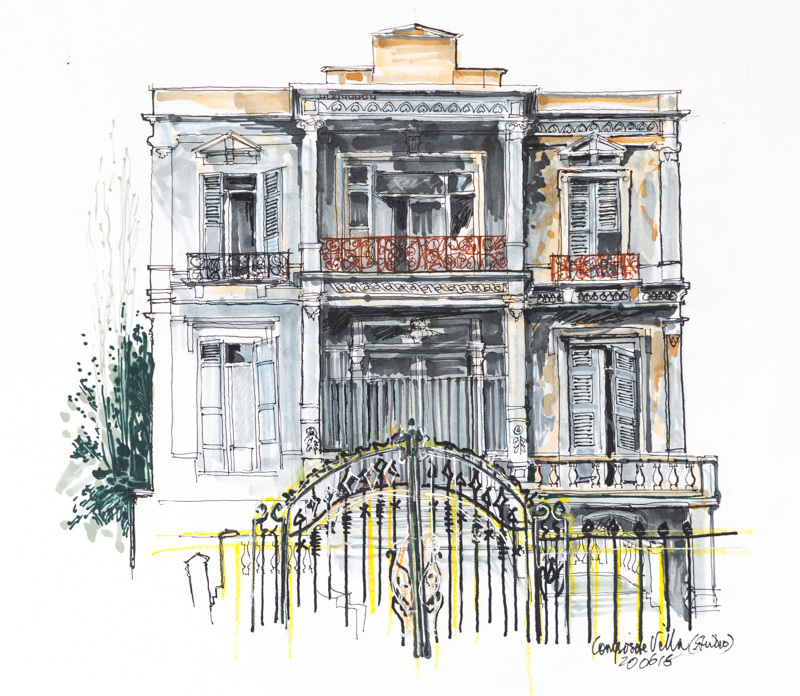 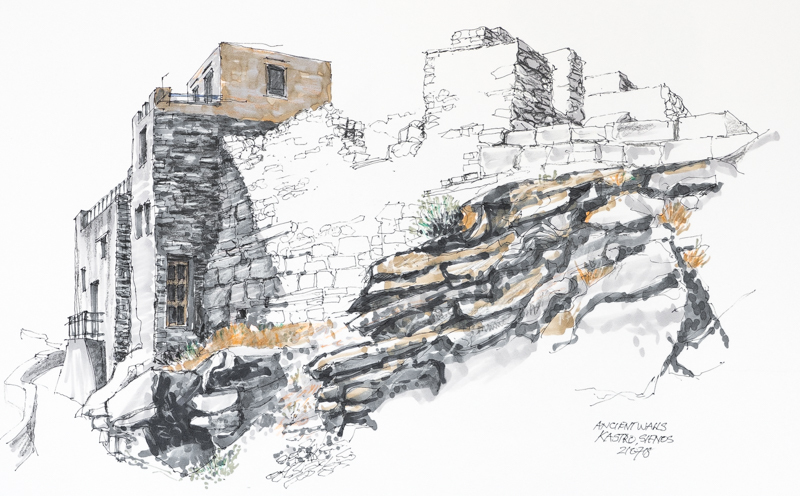 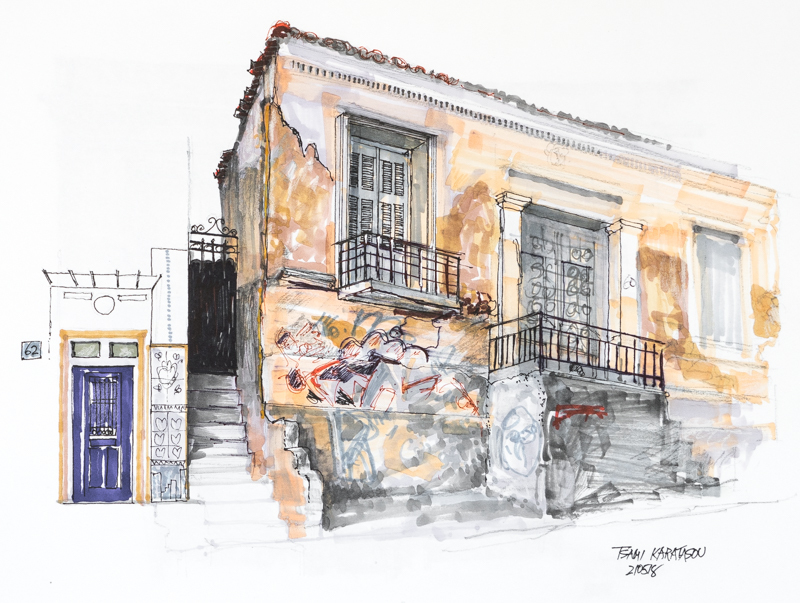 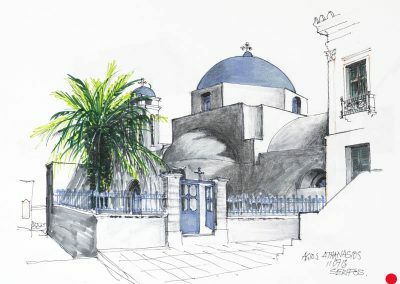 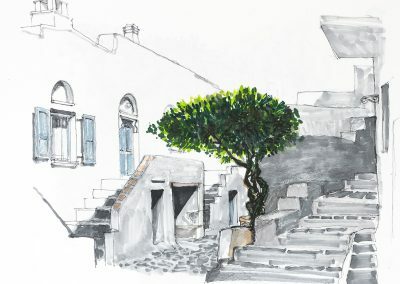 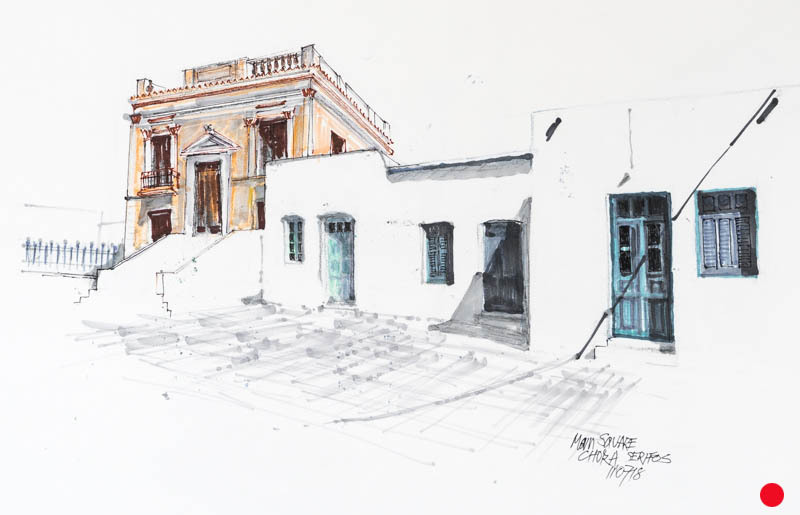 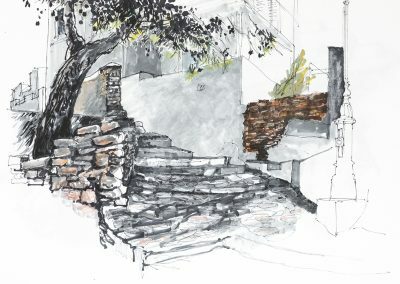 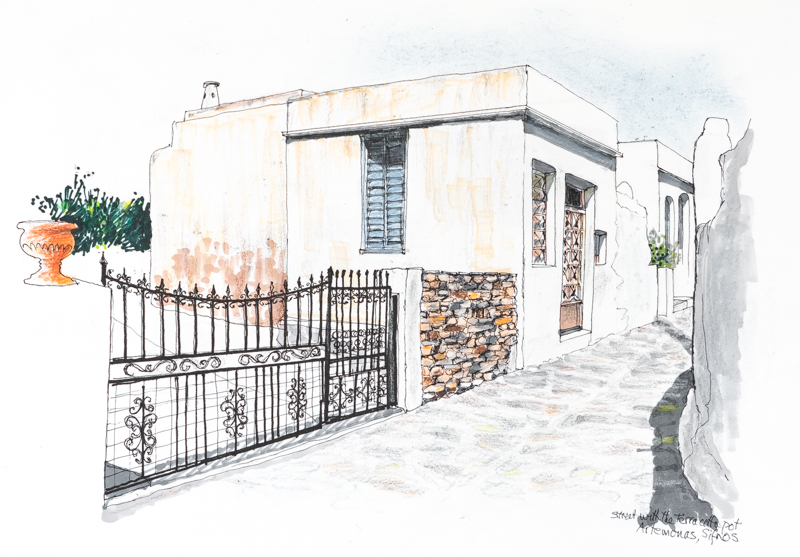 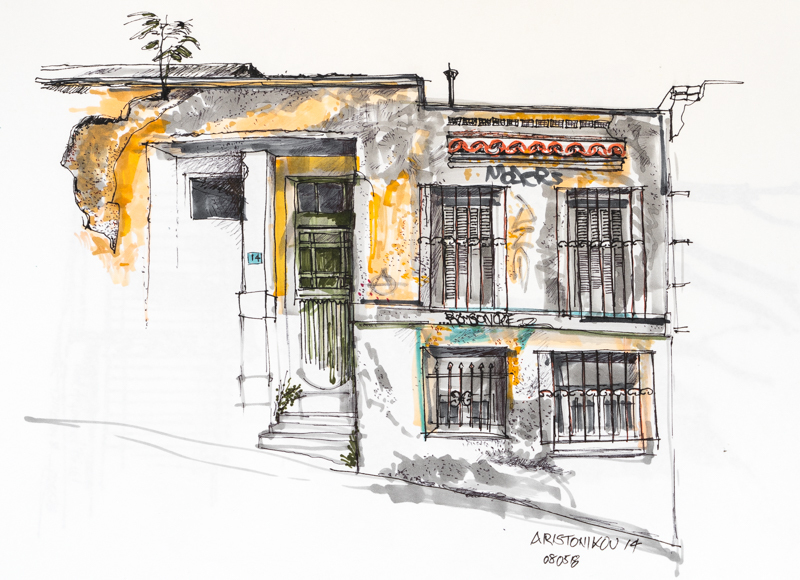 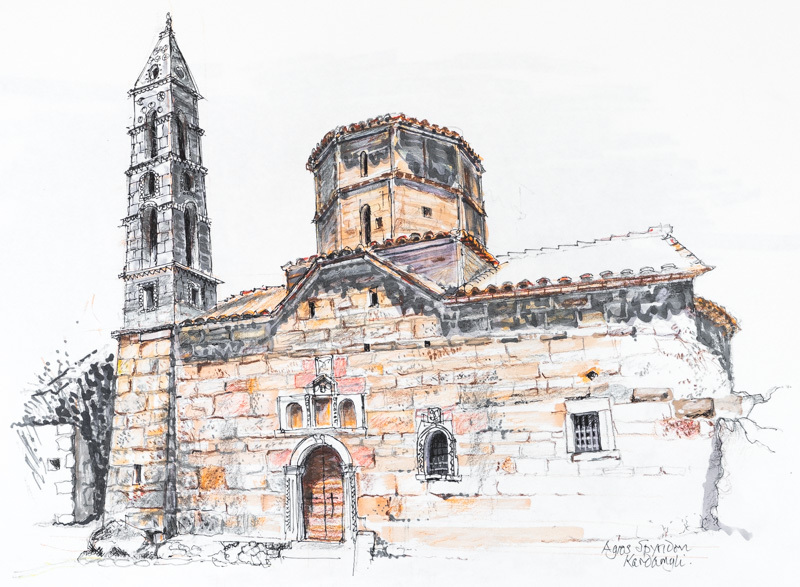 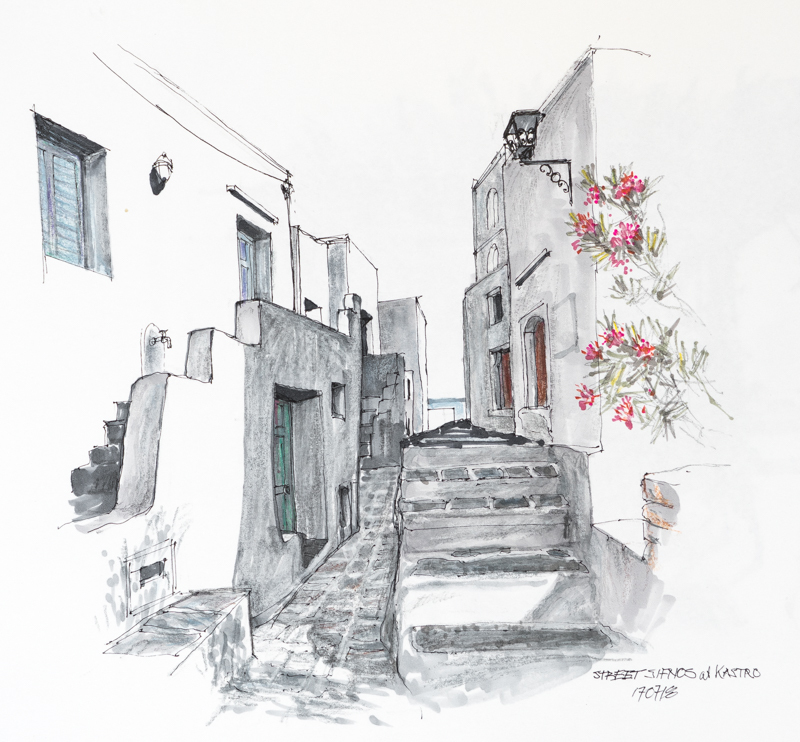 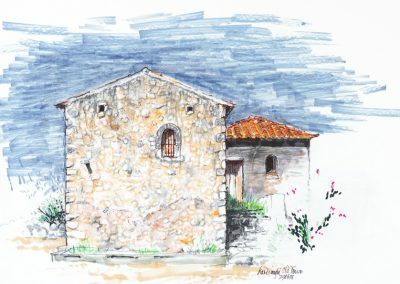 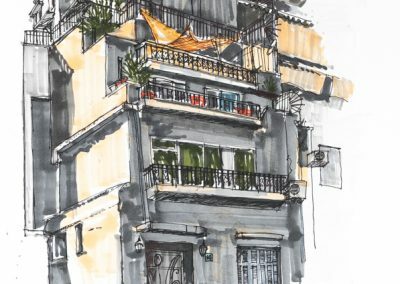 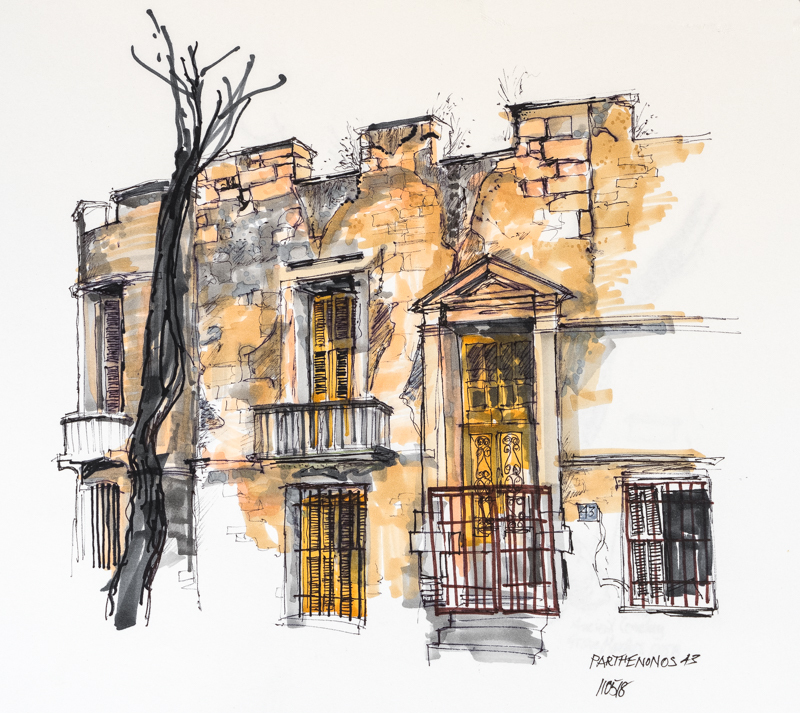 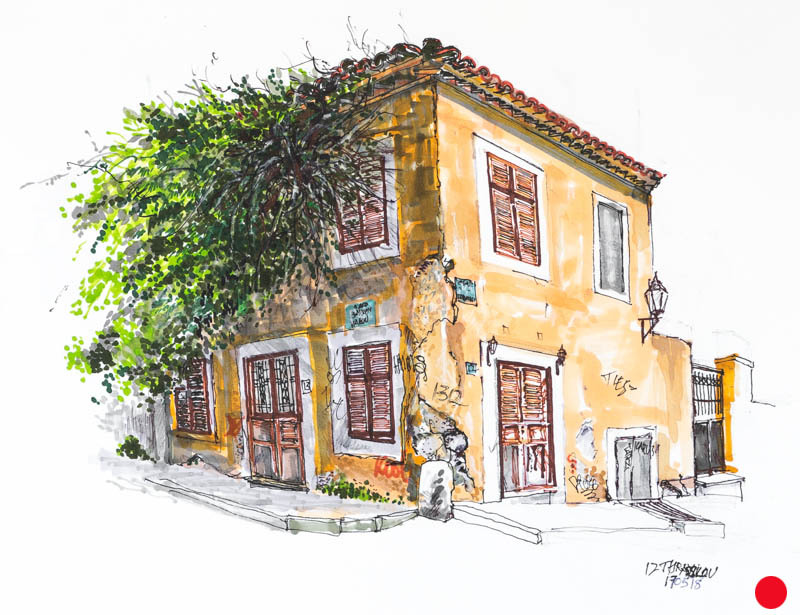 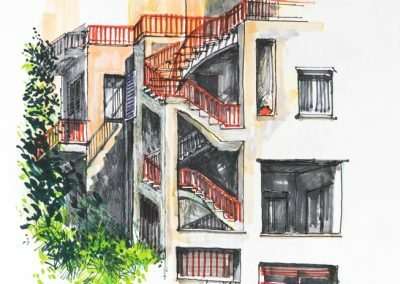 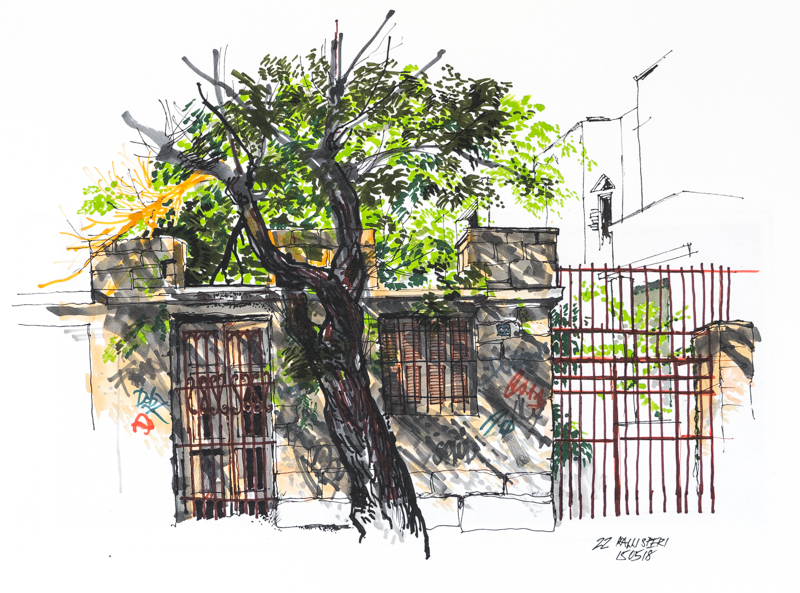 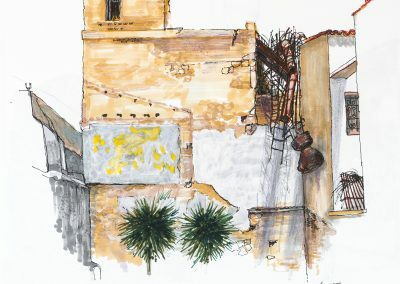 These drawings were done during three months spent in Greece in 2018; in Athens and Kardamyli, and on the islands of Hydra, Serifos and Sifnos. 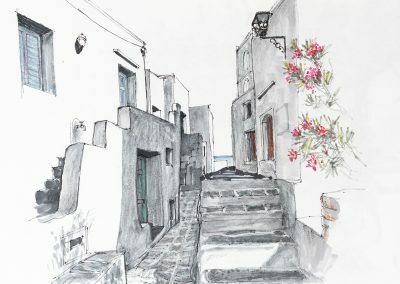 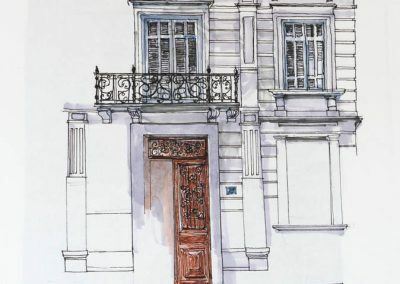 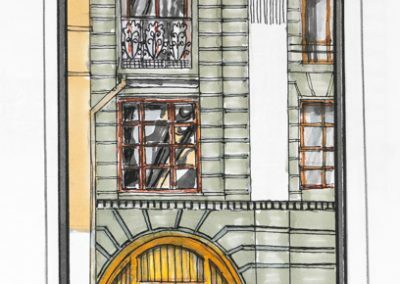 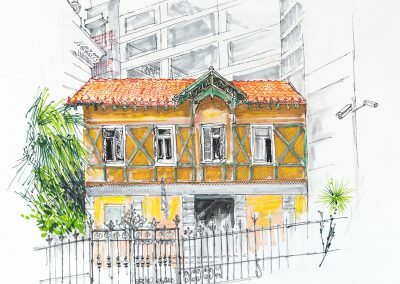 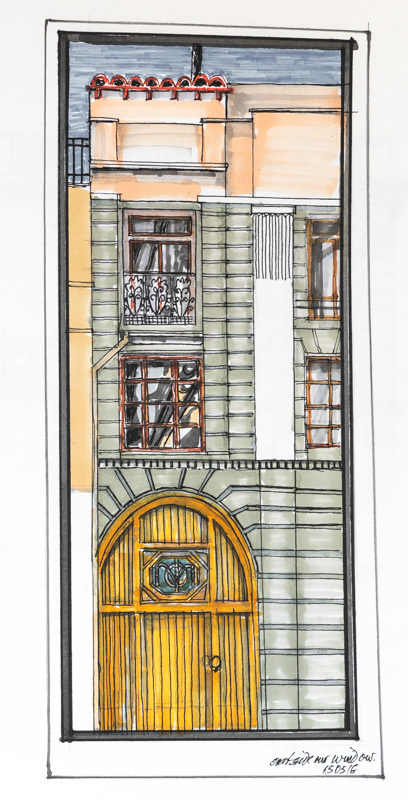 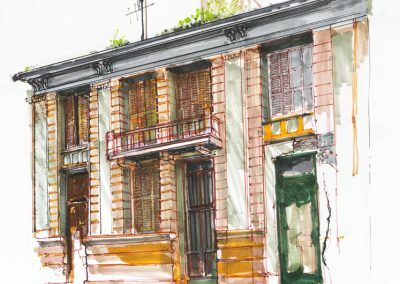 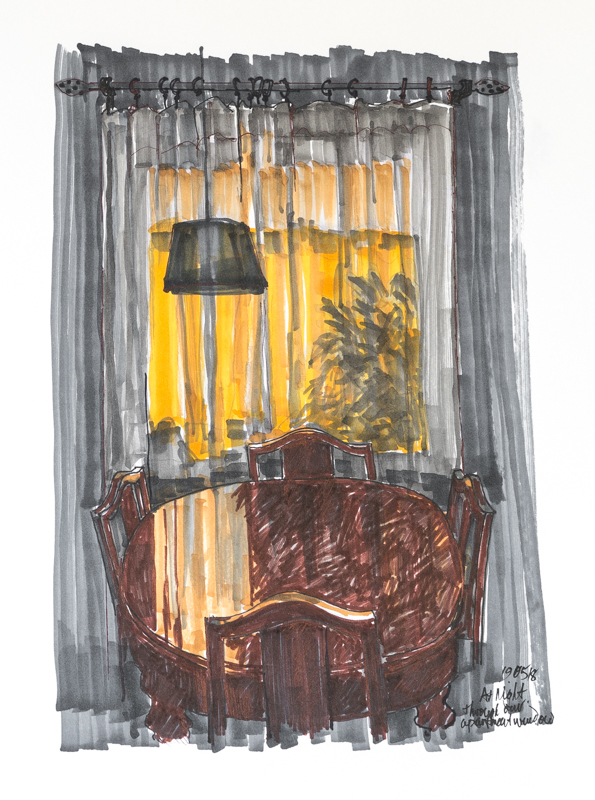 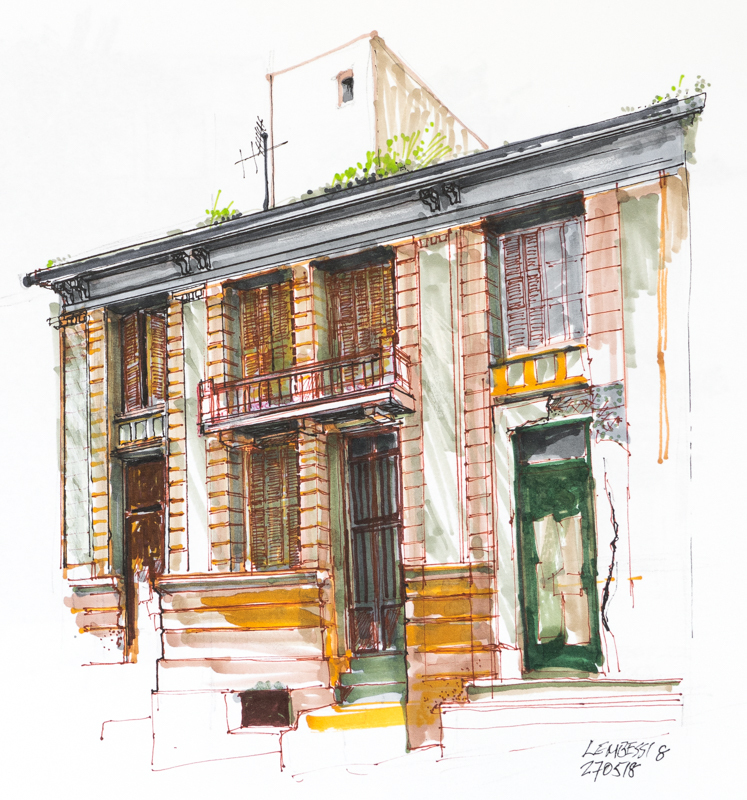 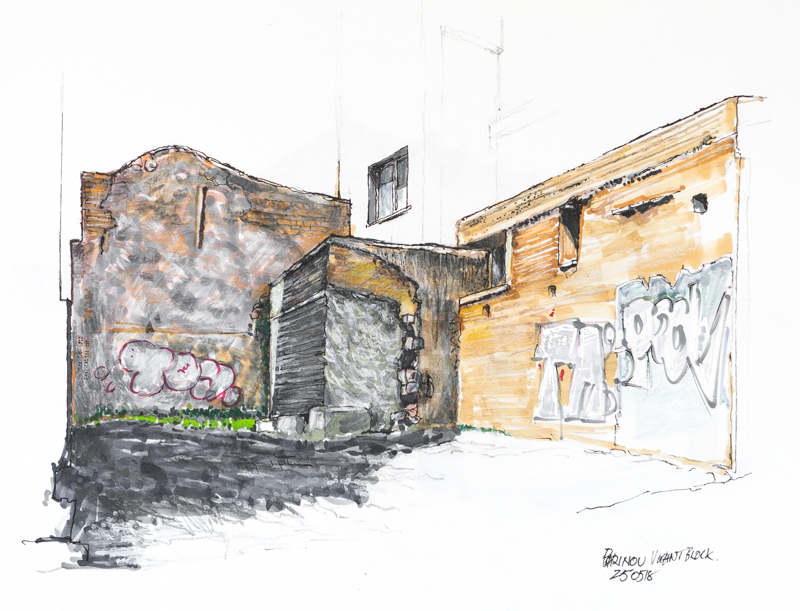 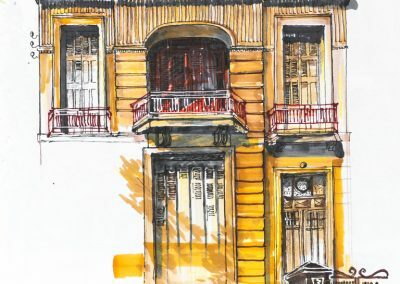 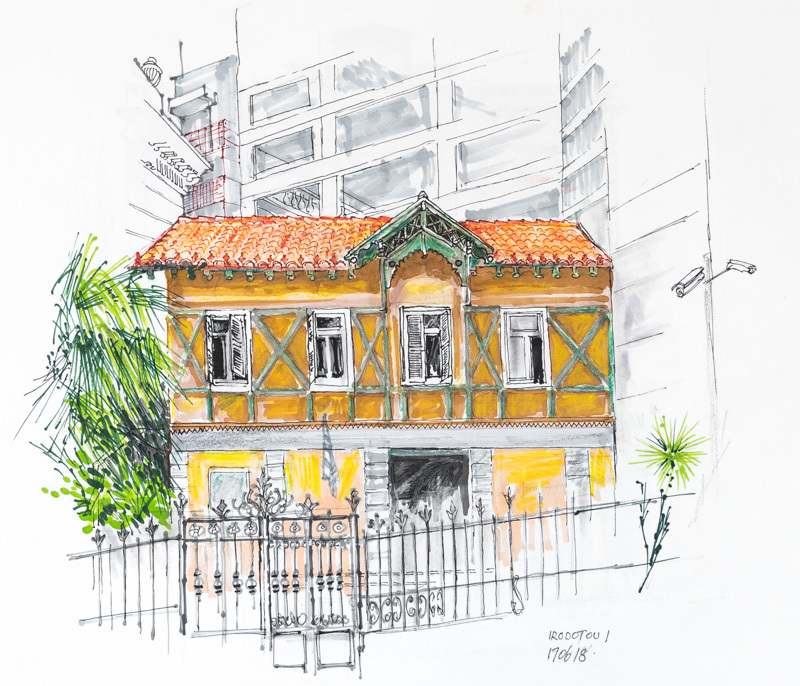 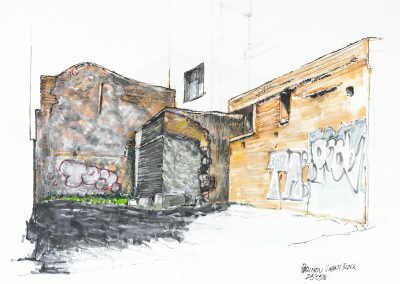 The drawings were done using ink-based markers and some aquarelle pencils on acid free paper. 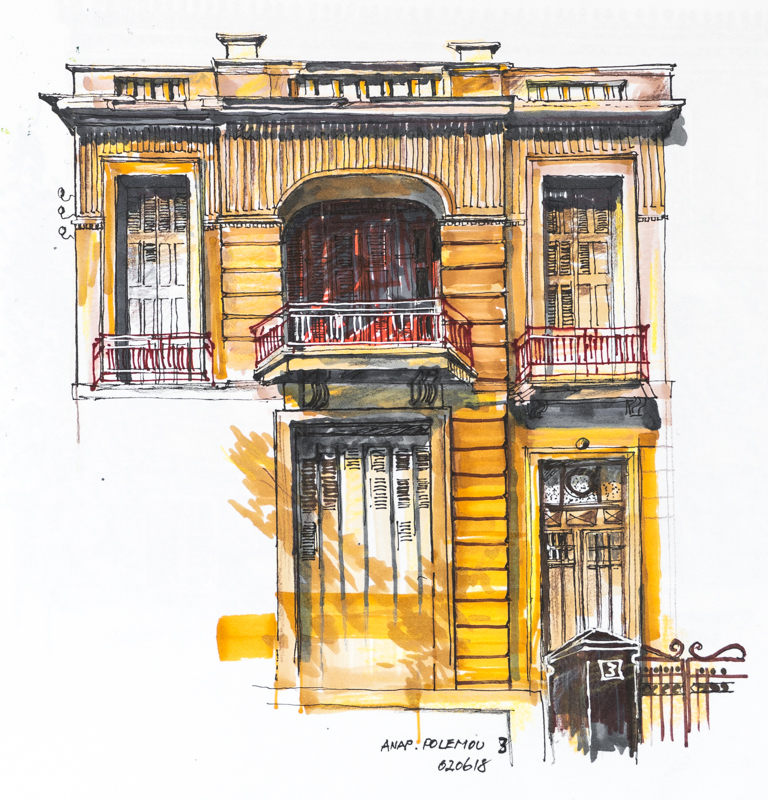 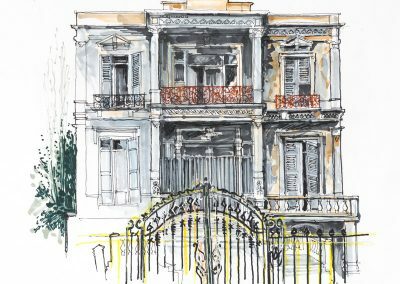 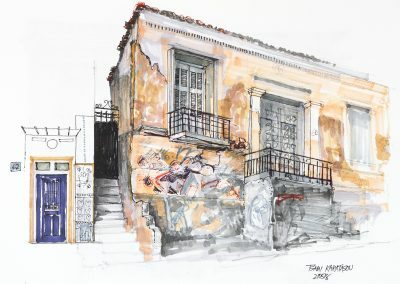 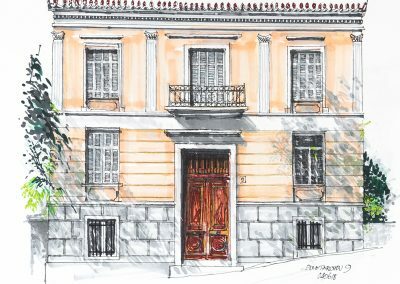 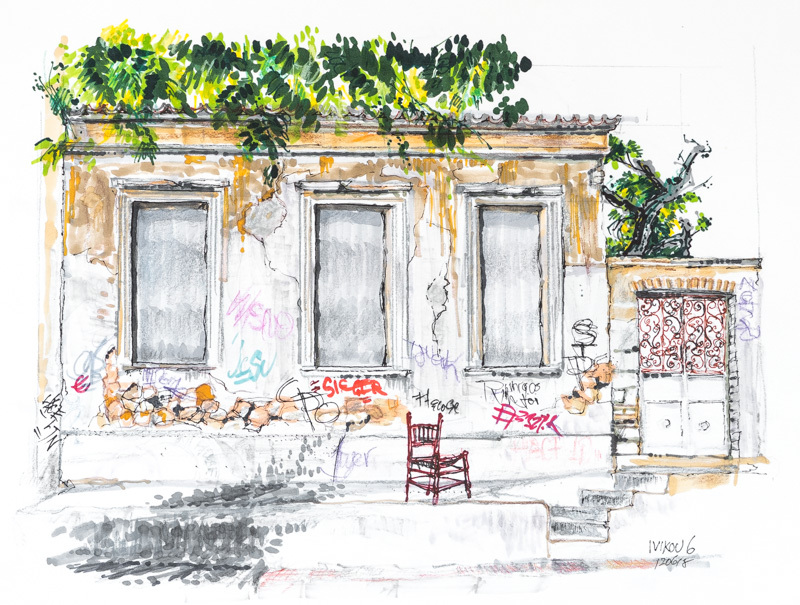 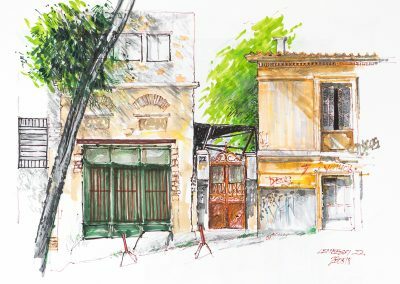 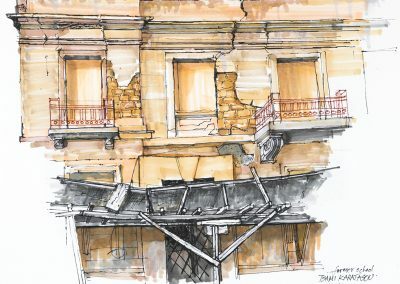 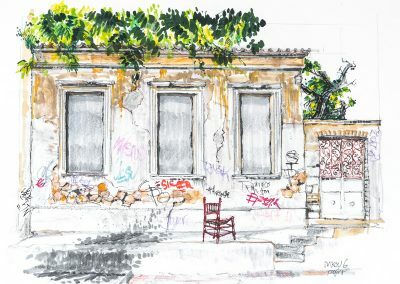 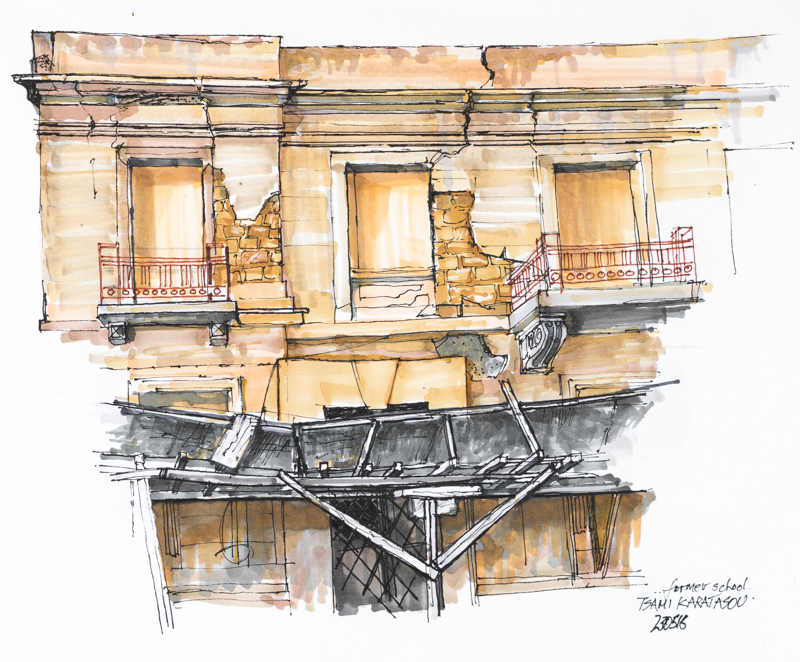 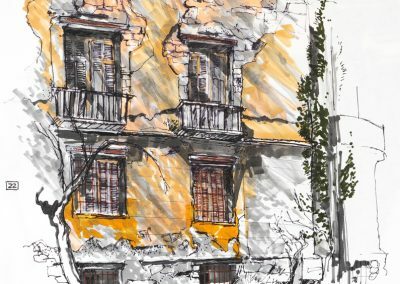 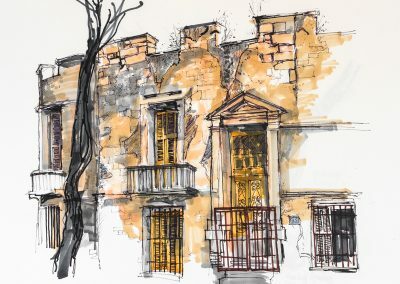 The selection of derelict or neglected buildings in Athens was not seen as symbolic of Greece but regret at the loss of such architecture. On the islands the colour and style are markedly different and reflect the past communities, their closeness, and the natural delight of plain surfaces, patterned pathways and mixed influences.